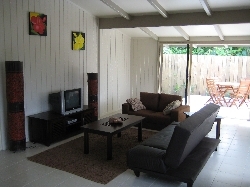 Welcome to our selection of holiday homes to rent in the South Pacific. The South Pacific islands are like jewels sprinkled in the Pacific Ocean. 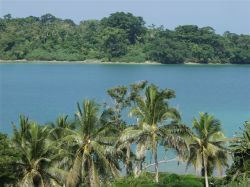 Each with its unique charm and beauty and consist of an archipelago of several islands. The primary among these are Samoa, Cook Islands, the Easter and Fiji Islands, Samoa, Tahiti and Tonga. All of them offer an unparalleled holiday experience. Fiji, once known as the �Cannibal Isles� is now a colorful cultural mix of Indian, Chinese, Polynesians, Micronesians and Europeans spread across 322 islands. Fiji offers good hotels, excellent food, hiking, kayaking, surfing, snorkeling and scuba diving. Fiji is a friendly country with un-crowded and inexpensive facilities. The people are vibrant and outgoing. Whatever your budget, Fiji gives you a fantastic time. Tahiti, also known as the �Isle of Love� is a land of spellbinding beauty and enhancement. There are 35 islands and 83 atolls in Tahiti including the famed Bora Bora Island. There are a lot of �not to be missed� things to do and see here � the colorful morning market, a captivating waterfront, temple ruins, breathtaking waterfalls and innumerable scenic beaches! The best coral and marine viewing is found here. There is also good surfing around Tahiti. Samoa lies in the Pacific Ocean to the north between the Cook Island and Fiji. Though it keeps the same time as Tonga, it is a day earlier due to the International Date Line. It is unspoiled and the prevalent Polynesian culture adds to the tourists� enjoyment. It is quite inexpensive, though everything has a charge. The public services are pretty good. The famed and highly publicized Rain Forest Canopy Walkway gives one a spectacular view of the rain forests from five stories above land. For a fee, the brave hearted can sleep on the uppermost platform. To enhance the experience, there is no shelter in case of rain. The western most tip of Samoa is where the day comes to an end. The Piula Cave Pools offer a natural swimming pool below a Church! The Cook Islands lie in the center of the Polynesian triangle. 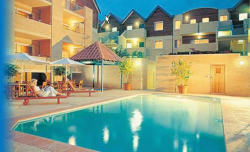 It has excellent beaches and offers good hotel facilities. It is well connected to New Zealand. It offers fire dancing, hiking and good food. It has some fantastic coral formations with some of them extending into caves below the sea. Snorkeling and exploring the underwater caves is an exhilarating experience. The Easter Islands have about a 1,000 massive stone statues and it remains a mystery to this day where they came from, transported and were erected. The indigenous inhabitants and these statues have intrigued archeologists for many years! In short, all these places provide excellent getaways where those ideal places we only read about in books or see in movies come alive! All these places are well connected by air and sea and tourists will have no trouble getting there. Looking for self catering holiday accommodation in the South Pacific? then below is a selection of villas in the South Pacific and apartments in the South Pacific that can be rented direct from their owners. You can either click on each listing for further details or you can use our search engine on the left if you are looking for something in particular.